Thomaston – Mrs. Lucille A. (Rossi) Houseknecht, 87, passed away on Thursday, November 29, at her home surrounded by her children and grandchildren. She was the widow of Raymond V. Houseknecht. Lucille was born September 11, 1931 in Waterbury, daughter of the late Nicholas and Concetta (Ditillo) Rossi. 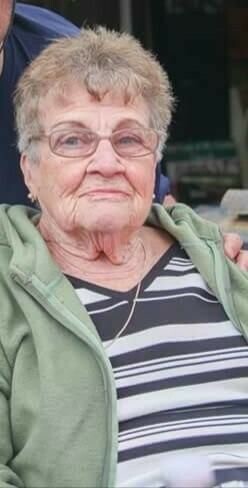 Raised in Waterbury she was a graduate of Saints Peter and Paul Grammar School and Crosby High School, class of 1950. She was an employee of the Scovill Manufacturing Company and Century Brass, retiring after thirty seven years. She will be remembered for her love of the Hartford Whalers, gardening, baseball and as an avid golfer and bowler. She is survived by one son, Raymond Houseknecht of Waterbury; four daughters, Cathy Berluti of North Haven, Lisa Hinman and her husband Mark of Thomaston, Lori Houseknecht of Thomaston and Sandra Embelton and her husband William of Plymouth; two brothers, Nicholas Rossi of FL and Richard Rossi of Watertown; two sisters, Rita DeSantis of Middlebury and Dorothy Jenkins of Naugatuck, five grandchildren, Raymond Houseknecht, Jr, Freida Hall, Mike Berluti, Mark Berluti and Kurtis Nedderman; six great-grandchildren and several nieces and nephews.